After a Saving Private Ryan (US, 1998) inspired cycle, few of which were successful, war films have not been considered to be commercially viable. 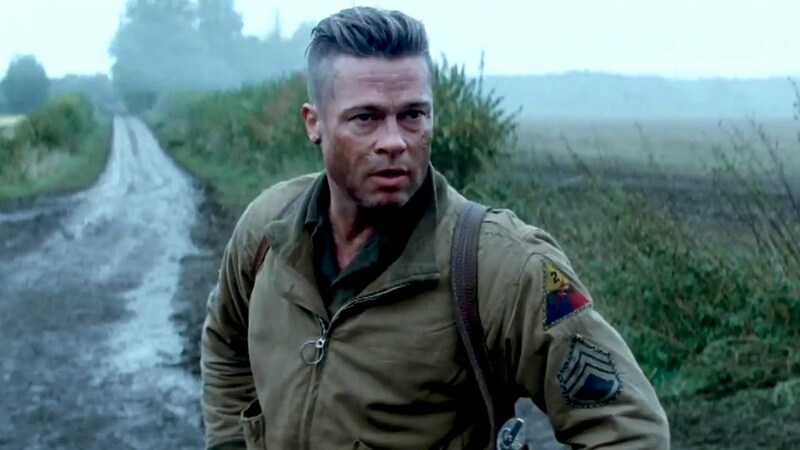 Although I doubt if Fury will ignite another cycle it superbly conveys the tension of being in a tank to the extent I was squirming in my seat. It, unlike the brilliant Lebanon, doesn’t restrict the viewpoint to inside the tank. In fact, it eschews the space inside, as it’s more concerned with the battles. When we see the interior it’s mostly through characters’ reaction shots, but the film nevertheless conveys the terrifying atmosphere of being under attack in a slow tin can. Writer-director David Ayer brings the full weight of CGI to the film to emphasise the violence, which is not for the squeamish. He portrays the misery of war to great effect; Fury takes place in April 1945, the last days of the Reich. While classical Hollywood would show cheery soldiers carrying on regardless, Ayer portrays the bullying of the rookie who’s dragooned into being the tank’s second driver. Pitt’s commander is merciless and fatherly; his nickname is ‘wardaddy’. You do get a clear impression that the bullying is necessary to toughen up the youngster or they could all die. Pitt’s crew, from John Bernthal’s thug to a surprisingly good Shia LaBoeuf, are all well acted. As is the case in many war films, understandably in ‘combat movies’, women are relegated to the margins. If the climax is slightly at odds with the convincing representation of war seen earlier, the necessities of commercial cinema demand, in a war film, a big battle. That aside, the film is a perfectly pitched thriller that is very effective in showing the brutalising effect of war.